The nearest airport is Humberto Delgado's Airport (Lisbon). From the airport you can reach the Bus station (Aeroporto Carris). 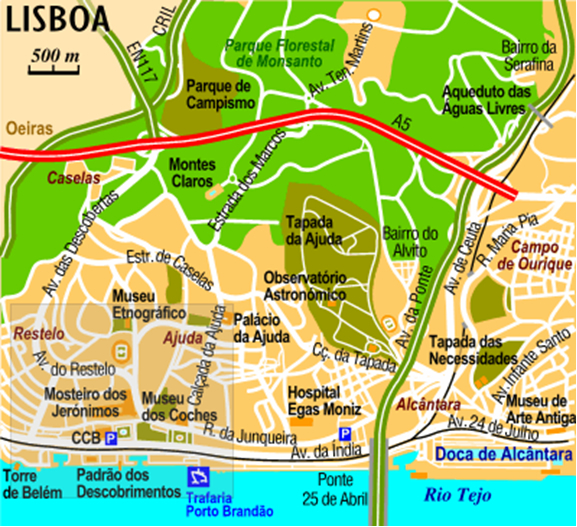 By boarding the bus nº 208 or nº 91 (heading for Cais do Sodré) you can reach the railway station Cais do Sodré. As alternative, you can take the Metro at Aeroporto and leave at Alameda, change to the green-line, destination Cais do Sodré and leave on the last station (Cais do Sodré). 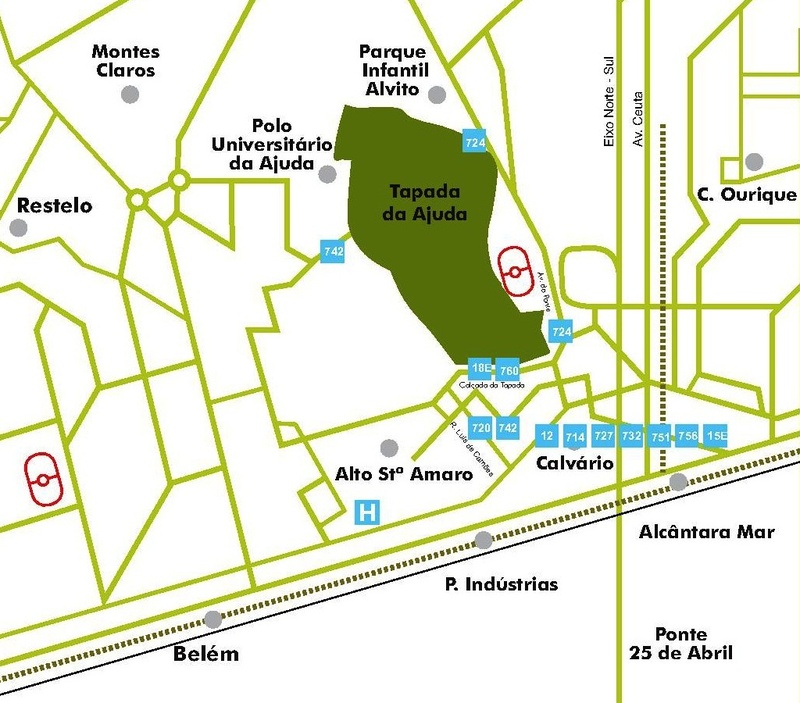 At this point you can take the tram nº 18 (Ajuda) or the bus 760 and go to Calçada da Tapada (bus stop: Pavilhão Desportivo da ajuda). By boarding the Bus nº 706, you can reach the Bus station Cais do Sodré. 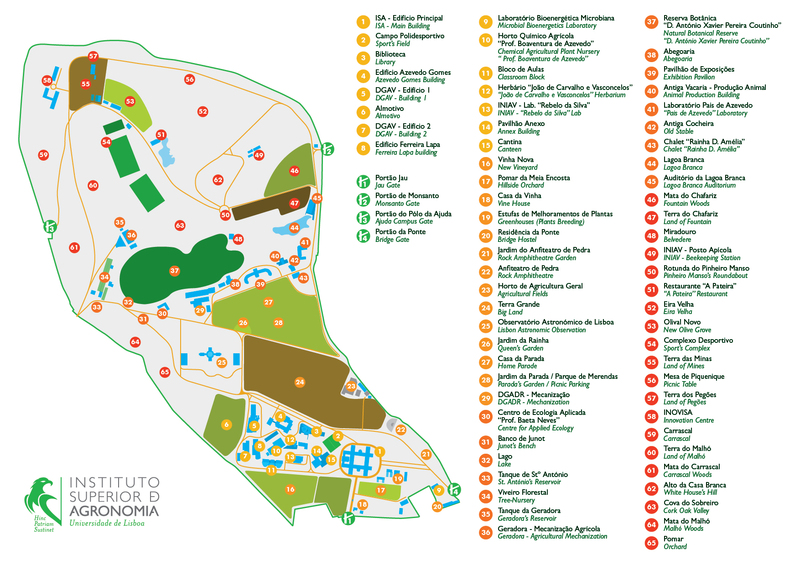 From there you can board the tramway nº 18 or the Bus 760 and go to Calçada da Tapada (bus stop: Pavilhão Desportivo da Ajuda).